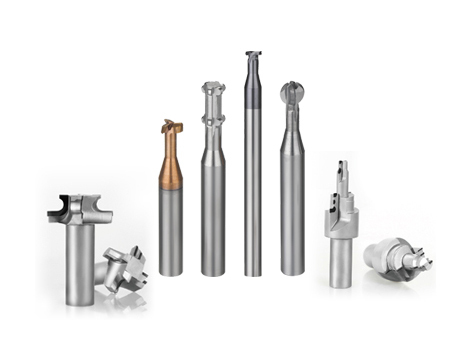 Shenzhen Jinrui Jinggong Tungsten Steel Technology Co., Ltd. is a professional R&D, production, processing and sales of tungsten steel (hard alloy) blanks, cutting tools, precision punches, stretch punching dies, CNC knives, micro drills, milling cutters. And high-tech companies that use precision tools in the IT industry. After more than ten years of development, the company has now controlled its subsidiary Shenzhen Shengye Diamond Tool Co., Ltd. Shenzhen Haoye Diamond Tool Co., Ltd. mainly develops and produces super-hard PCD, MCD, CBN diamond cutters. Products are widely used in electronics, micro-motor manufacturing, acrylic cutting, mold manufacturing, automotive, shipbuilding, watch industry, chemical, plumbing equipment and aerospace. Jinrui Company has introduced a variety of high-precision processing equipments such as Switzerland ROLLOMATIC, Germany Walter HELITRONIC POWER, Australia ANCA MAX5 and other five-axis grinding tools, and introduced the German top tool testing equipment ZOLLER G3S, strict Control quality.